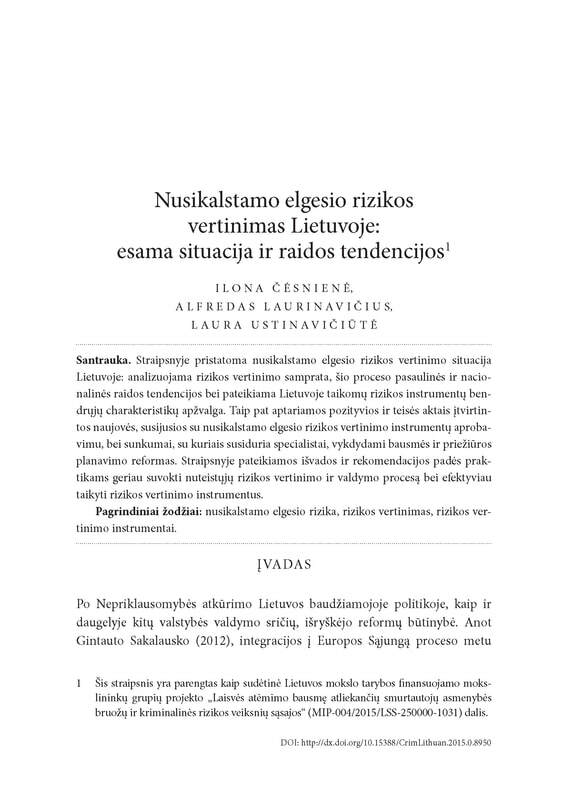 In the article is presented the risk assessment situation of criminal behavior in Lithuania: an analysis of risk assessment concept, trends of global and national development of this process, and an overview of the general characteristics of risk instruments applied in Lithuania. It also discusses positive and legally-based innovations related to the screening of instruments for risk assessment of criminal behavior and the difficulties faced by professionals in implementing penal and supervisory planning reforms. The conclusions and recommendations presented in this article will help practitioners better to understand the process of risk assessment and management of convicts and to apply risk assessment tools more effectively.